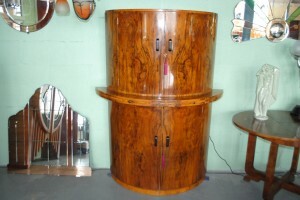 Original Art Deco Walnut Cocktail Cabinet with mirrored interior top and bottle storage below. 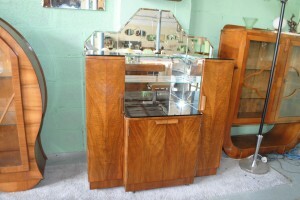 An original art deco small walnut cocktail cabinet with mirrored top interior and bottle storage below. 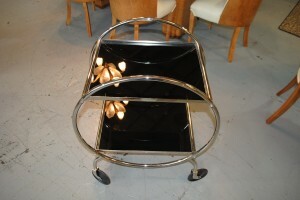 The handles are fabulous and it is in very good original condition. 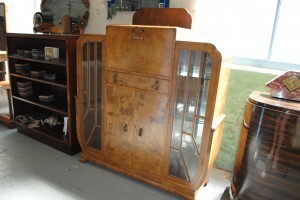 These smaller pieces are very desirable. For more details please call 01257 473688. 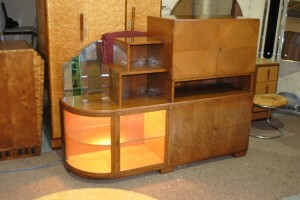 A very imposing art deco Epstein cocktail cabinet in very good original condition. The lovely walnut veneer to the outside is complemented by the interior, very nice satin wood, complete with auto light, mirrored interior and pull out mixing tray. 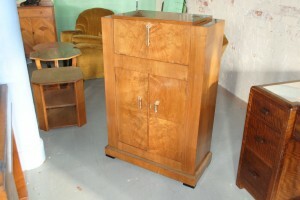 Below all of this is a good size storage cupboard for botlles etc and two handy drawers. 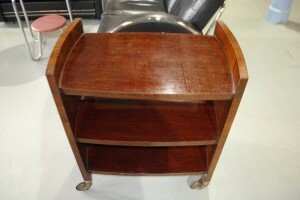 Although in very good condition you do have the option to have this piece stripped and re-polished to return it back to its former glory and be more vibrant. 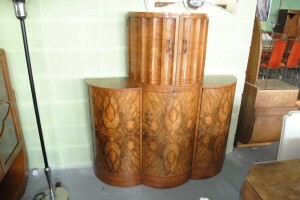 Art Deco Cocktail Cabinet – Can you see the Tiger/Lion? 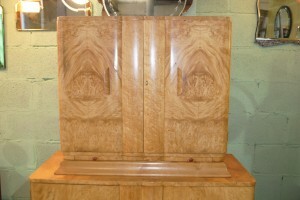 Original Art Deco Figured Walnut and Maple Cocktail Cabinet - Can you see the Tiger/Lion? 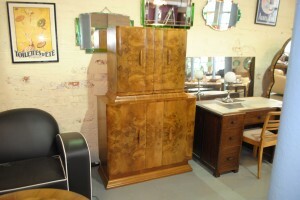 An original Art Deco Gold & Feather cocktail cabinet with fabulous figured walnut and maple in excellent condition. 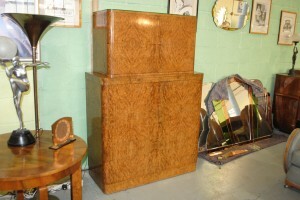 Thankfully, Gordons very keen eye was able to pick out identical veneers to both sides of the bottom of the cabinet which reveal the most wonderful Tiger/Lion face! Can you see it? The interior is also lovely, very nice satin and stainless, complete with auto light, mirrored interior and pull out mixing tray and bottle storage below. Gold and Feather made furniture in the roaring 30′s for luxury ocean liners using the best materials and designs available.